Title says it all. Sold my previous horn and haven't replaced it yet, but would like to. I've PM'd a number of people with ads for sale, but haven't found the right thing yet, still talking to a few people. If you've got a horn for sale that you haven't listed yet, send me a message. Located in Denver, willing to drive a fair ways or do Greyhound/other shipping. Budget is flexible, as is piston/rotary, etc. Smallest horn I would consider is a 186, but willing to go bigger. In particular, I had a 1291 I liked, and have always liked the 289 and other Miraphone horns. Thanks! Good points. I’ve been in touch with Bloke and will give Dan’s Horn a look. I have a Russian 3v Bb and could supply a spare valve for converting to 4v. tmz1m wrote: Title says it all. Sold my previous horn and haven't replaced it yet, but would like to. I've PM'd a number of people with ads for sale, but haven't found the right thing yet, still talking to a few people. If you've got a horn for sale that you haven't listed yet, send me a message. Located in Denver, willing to drive a fair ways or do Greyhound/other shipping. Budget is flexible, as is piston/rotary, etc. Smallest horn I would consider is a 186, but willing to go bigger. In particular, I had a 1291 I liked, and have always liked the 289 and other Miraphone horns. Thanks! Thanks for all of the PMs and recommendations. I decided on a Miraphone 191 5-valve, will be receiving next week. 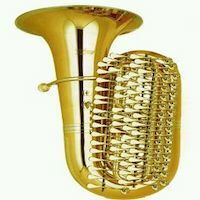 I've got a near mint Rudy Bb-baritone euphonium. I'd love to send you the picks. You won't be let down, and the price is very easy. Seems me your email and ill send the pack of 4k pictures, comes with hard shell lock travel case and a new soft backpack bag.